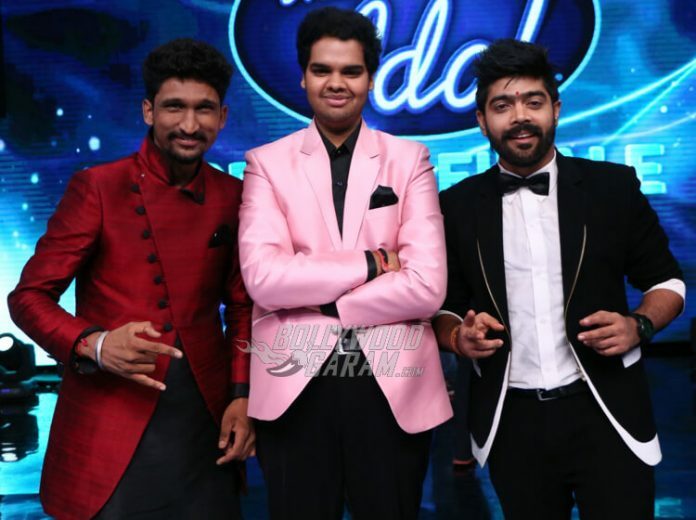 LV Revanth Kumar crowned Indian Idol Season 9 winner by Sachin Tendulkar! LV Revanth Kumar, Khuda Baksh and PVNS Rohit earned their way into the top 3 of the Indian Idol 9 final. After an exciting season finale which featured comedian Sunil Grover – who returned to the stage as Dr. Mashoor Gulati and Rinku Bhabhi – along with singer Sonu Nigam and more, Kumar was crowned as the winner of the Indian singing reality show by none other than cricketing legend Sachin Tendulkar. Kumar, who is from Vishakapatnam, won the hearts of Indians and along with the title, he also takes home prize money of 25 lakh Indian rupees, a Mahindra KUV100 along with a coveted music contract with a record label – Sony Music. Revanth gave a fiery performance at the Grand Finale, dancing and singing hit Bollywood songs. The Indian Idol Season 9 winner even shook a leg with Raveena Tandon on the show! Kuda Baksh came in second, while Rohit took the third position at this year’s Indian Idol. Both contestants won a prize money of Rs. 5 lakhs. Hearty congratulations to Tollywood singer LV Revanth on becoming Indian Idol 2017!